To explore booking Tiffany to speak at your upcoming event, click below to access the Meeting Planner Form. Tiffany is a light! She gets people and she knows how to help people connect. We hired Tiffany to train our sales force & design team to help them up level their people skills to close more sales and serve our clientele. The principles we learned from her changed our business for the positive! Tiffany Peterson’s keynote delivers quality sales & service content with energy and enthusiasm! She has the ability to share principles that are relatable from senior leaders to frontline staff. Based on our annual survey results, Tiffany is historically one of the highest rated speakers we’ve brought to our conference. We would recommend her to any company looking to improve their sales and service culture. Tiffany’s proven and extensive background in sales success makes her a leading authority on the topic of everything sales. From her corporate experiences of working with many Fortune 500 clients such as Delta Airlines, FedEx, Siemens, and others to helping top personal & professional development brands (FranklinCovey, RichDad/Poor Dad, & Jack Canfield) grow their personal coaching sales income to multiple seven figures year over year, she knows sales – and most importantly how to grow them based on lasting, true success principles. Whether your audience is a network marketing convention, an entrepreneur education audience, or an annual corporate meeting, Tiffany’s sales & success principles will help your guests increase their confidence & conversion with selling – all while having more fun & ease doing so! Tiffany is a lifetime student herself, devouring books and trainings in mastering success principles. She has had the great fortune of being mentored by some of the best leaders in the personal growth space. 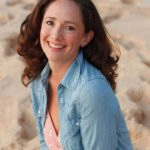 Through her studies and her own successful life experiences – from being an Top Producer in sales, to overcoming personal adversity, to creating her own successful, thriving business – Tiffany loves to passionately share inspirational success principles helping your audience create a life and business they love! Topics potentially include: Vision & Goals, Time Management, Overcoming Adversity, & Success Disciplines of High Achievers. You can customize topics based on your audience needs. Our ability to lead others and influence success in our organizations or networks is the most prized skill in business today. Developing one’s leadership abilities or those in up and coming in your ranks, directly impacts the organizations ability to thrive and prosper. Tiffany has held multiple leadership positions in her corporate life days and actively coaches & consults many six & seven figure business owners on a regular basis. During this keynote, topics included will cover communication, leadership, gaining buy in, vision & direction. Tiffany is a professional member of the National Speakers Association and currently serving on the Mountain West Speakers Board.